DICKSON, with its leafy streets, single-dwelling houses and double-storey duplexes, was once Canberra’s original airport. Between 1926 and 1928, a small runway called Northbourne Aviation Ground was located where the Dickson Library and playing fields are now. In September, 1928, Dickson was gazetted but the suburb was not settled until the ‘60s. 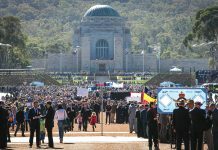 According to the 2016 census, Dickson, which is named after Sir James Dickson, a Queensland advocate of Australian Federation and one of the founders of the Australian Constitution, has a population of more than 2000 people. Chemist Outlet owner Rhonda Warne (middle) and team. AS winter approaches owner and pharmacist Rhonda Warne, of Chemist Outlet Dickson, is urging everyone to get the flu vaccine. “There are four strains of really nasty flu that people need to guard against,” she says. “It won’t stop you getting the sniffles and viruses, but it will protect you from the flu. 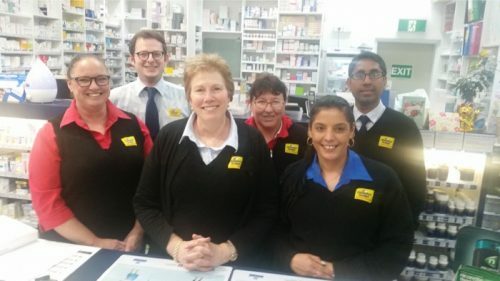 But whether customers need a flu vaccine, or other items such as medication packs, vitamins and hydrating lotions, the team at Chemist Outlet Dickson is ready to help. And what’s even better, Rhonda says, is it’s all at heavily discounted prices. “We pride ourselves on being cheap, but our service is never discounted,” she says. Rhonda says this applies to all services such as medication reviews, medication packing, diabetes medication checks including a glucose test, cholesterol tests or advice on therapeutic skin products. “The winter air in Canberra is particularly dry and heating also dries the skin out, so come in and have a look at our range of therapeutic skin products,” she says. With Mother’s Day just around the corner Rhonda also suggests having a look at Chemist Outlet’s gift packs. “You would be hard pressed finding perfumes and cosmetics at our prices anywhere else,” she says. Chemist Outlet Dickson, open all Easter except for Good Friday. 1/42 Dickson Place, Dickson, call 6247 7944. DICKSON Medical & Travel Clinic has been providing a high level of care to its patients and the community since it was established in 1987 by Dr Alan Shroot and colleagues. Dr Shroot was joined by Dr Les Buczynski the following year, and since then have been working together as co-principals. The practice offers standard general practice services, such as diabetes and asthma management, to travel medicine vaccinations and occupational medicine such as employee medicals and screening. 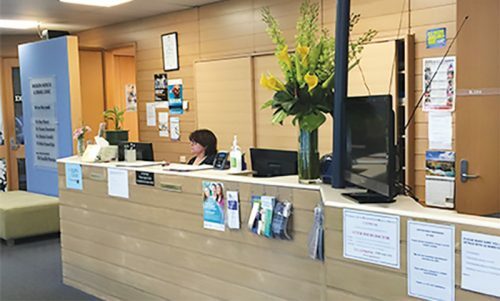 With a support team of nurses onsite and a range of allied health services such as physiotherapy, dental and pathology in the same complex, Dickson Medical & Travel Clinic says it offers a comprehensive service to all its patients. 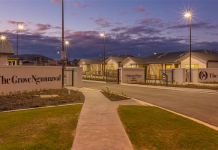 LOCATED in walking distance from Dickson shops and only a five-minute drive to Civic is Canberra’s own south of France, says Alison Knell, who is the director of Canberra Parklands Central Apartment Hotel. 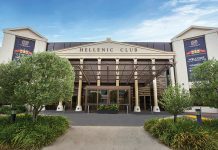 The south-of-France-inspired hotel opened in 2003 and now Alison is sharing Dickson’s best-kept secret to visitors coming to the area and to locals needing a conference space. For visitors, the apartment suites, all equipped with kitchens, include studio apartments as well as one, two and three-bedroom apartments. “The bedrooms are all modern and spacious and visitors have access to a huge, heated, indoor swimming pool and a gym,” she says. 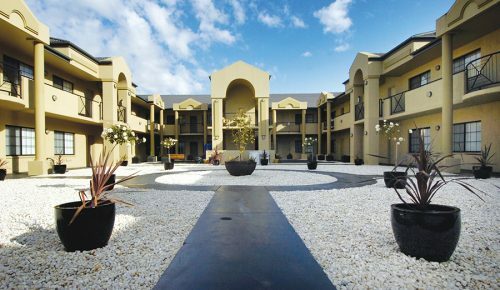 “We also offer conference and meeting facilities too, which have accommodation and catering package options. “And because of all the room configurations we have great, flexible options, which would be ideal for sporting groups or travelling groups. Alison says other great features are the hotel’s free street and free secured parking. “You can park buses, cars and even horse floats for people heading to Thoroughbred Park,” she says. 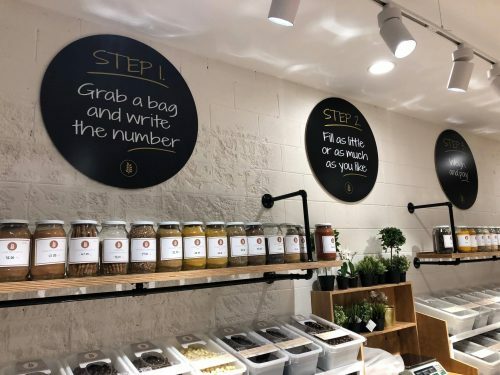 NOT only does The Source Bulk Foods in Dickson have a fantastic range of pantry items (many are organic or chemical free), but customers can buy just the right amount they need, says owner Emma Mason. “This way their staples stay fresh and it reduces food waste,” she says. The Source Bulk Foods in Dickson (and Belconnen Mall) stocks pantry staples such as beans, flour, seeds, grains, dried fruits, nuts, snacks and confectionery, as well as cooking liquids such as oils and local honey, and cleaning products and personal cleaning products such as soap. “We have an extensive range of waste-free merchandise such as double-skinned, stainless-steel water bottles; coffee cups; food containers; 100 per cent organic cotton produce bags; stainless-steel straws and straw cleaners as well as stainless-steel, bento-style lunch boxes,” she says. “We also make sure we cater to different dietary requirements and so keep products that are gluten-free and vegan,” Emma says. The most popular product though, in the Dickson and Belconnen stores, is dried mango. “There’s no added sugar or preservatives, just mango,” she says. 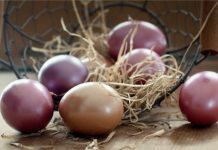 But along with old favourites are new ones and Emma says they currently have a range of “naked Easter eggs”, which are package free and in both vegan and milk chocolate varieties. 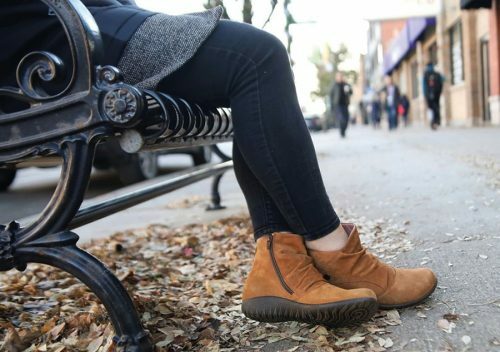 THE Healthy Foot in Dickson has a big range of stylish, flexible and supportive shoes for people with wide feet or orthotics, says podiatrist Mark Clayton. Handmade in Israel from Italian leather, Mark says these shoes, which are called NAOT, make it fashionable to walk in comfort. “When you buy a pair of orthotics, most of the shoes don’t have enough depth or they’re not stylish,” he says. Mark, who’s been a podiatrist for more than 30 years, says he entered the industry because he liked the idea of helping people. His experience helps him find new ways to keep people’s feet healthy, such as wide, medium and standard sized NAOT shoes, which fit most feet. NAOT, which means “oasis”, has been crafting its footwear for more than 60 years.